The entire team at the ibis Martigues Centre hotel wishes you a warm welcome. Martigues is the ideal place for a stopover or as a base for exploring the little Venice of Provence on the Côte Bleue. 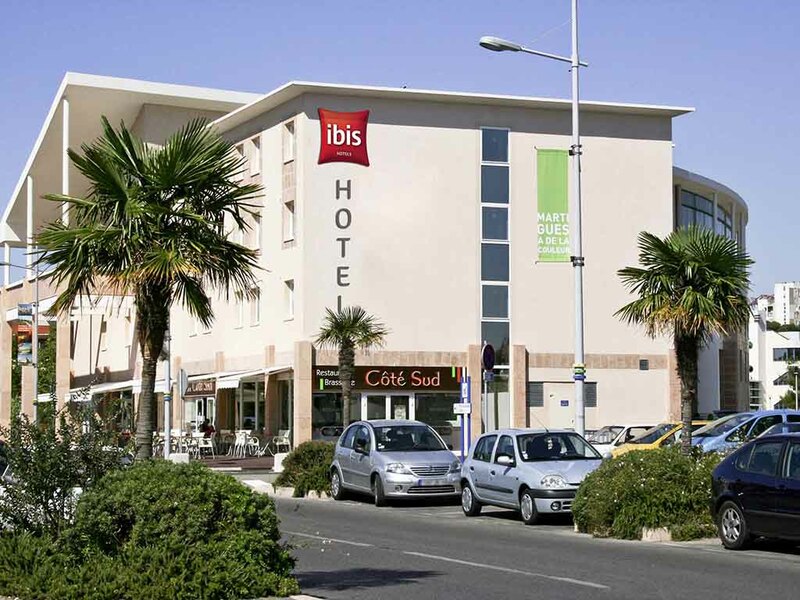 Located in the town center, a short walk from Martigues port, the ibis Martigues Centre hotel offers 83 air-conditioned rooms, flat-screen TV with a great selection of channels, hairdryer and free WIFI. Enjoy our Rendez-Vous bar at any time of day and our 24/7 snack service. Martigues is a beach and tourist resort and is in an ideal geographical location for a break or as a base to discover Provence. Whether you're here on business or for a leisure getaway, the ibis Martigues Centre hotel is in an ideal location just 5 to 15 minutes from the Lavera business parks, Fos-sur-Mer and seaside resorts. Get everywhere you need on foot or by bike. A stone's throw from the marina, the tourism office, the town hall and the island: this is the little Venice of Provence. Go for a stroll, taste our local produce and take a moment to daydream. Ideally situated, a short walk from the marina and municipal stadium. Near to the town hall, tourist office and police station. Free enclosed private car park. Web corner and free WIFI throughout the hotel. The perfect base for exploring the Côte Bleue and the little Venice of Provence. Restaurant, bar and snack service offering delicious dishes 24 hours a day. As usual the personel/staff was the best point. Guy running bar, reception, food was friendly and helpful. Accommodation very simple but clean and well maintained. Breakfast ok. Just a shame that food was dissapointing - I was expecting better than a reheated frozen pizza. Rooms according to expectations, comfortable and clean. Great parking facility, hotel well located - a short walk from old town/seaside markets. Pleasant staff. Our rooms were located on the second floor and, unfortunately, I did have to go down to reception at 2am because a group of Spanish flamenco dansers were playing the guitar and singing in the room below us. Unbelievable. I assume staff were quick to respond because it all went quiet within 15mins. Night silence is my top criteria when choosing a hotel. Sadly this time, it totally messed up my good night's sleep. At least breakfast was a really good deal, with plenty of choices. Good location 5 minutes walk from centre of Martigues Very friendly and helpful staff and hotel has all facilities you would expect at this level Strange curtains! very comfortable stay in a lovely area not far from Marseille airport. Hotel was fine in the city center and the bed was good. A lot of space. Friendly staff, clean hotel, but not the rooms I reserved. Basically, the title says it. I reserved two twin bed hotelrooms online at accor's website, but upon arrival we were told that these were not available, only rooms with a double bed. We needed the place to sleep, so we accepted. I rate the service 3 starts for that, staff would deserve a better rating. The Hotel and Staff are ok. The Only Problem is the Management who save on Cost. In the Evening there is only 1 person for Reception-Bar and Kitchen . The Hotel is always fully Booked. So to attend all the Clients well 1 person is not Enough for all the Work.